а расскажите подробнее о снимке? что делают эти люди? Iran:According to one of the Shia faith Throughout Iran, on the occasion of martyrdom of Imam Hussein, a grandson of Prophet Mohammad, Muslims mourn during the first ten days of the Islamic month of Muharram which among them two last days are special ones which have been called Tasua and Ashura. 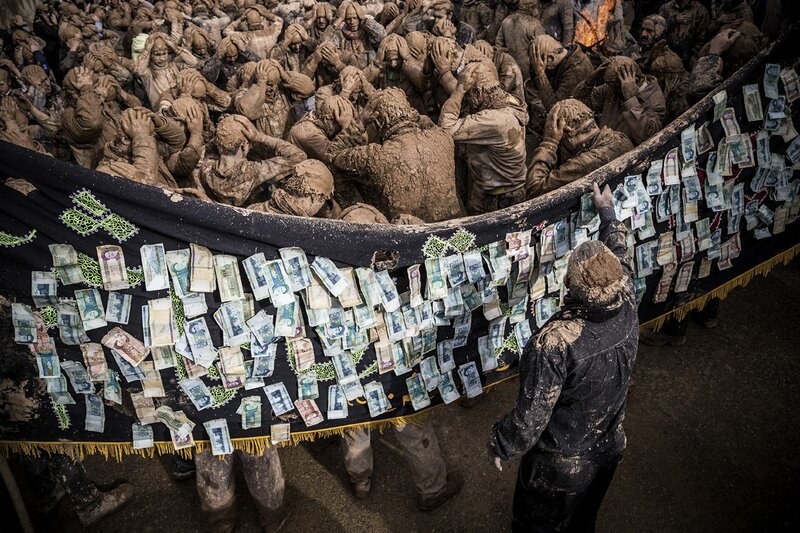 In some parts of Iran, these mourning have some differences.